The day didn’t begin nicely. Another typical storm and heavy clouds were above the airport. The branches of the trees on one side of the runway were quiet. It’s a peculiar but reliable measure, whether the situation is “flyable”. The white Swiss A320 appeared amid dark clouds approaching to runway 17. Punctual as a cuckoo clock. 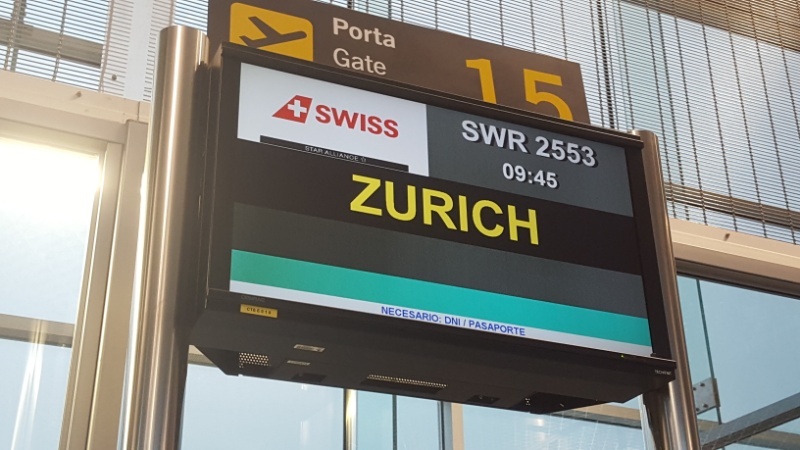 Swiss had at last decided to add to its network my local airport. And like today with full flights. Before the long winter I wanted to sample the airline and overflying the Alps. A perfect destination. A couple of days to flee to the bucolic Schaffhausen and the Rhine Falls. Let’s see ….let’s be sincere¡. The reality is have tons of chocolate and fondue. 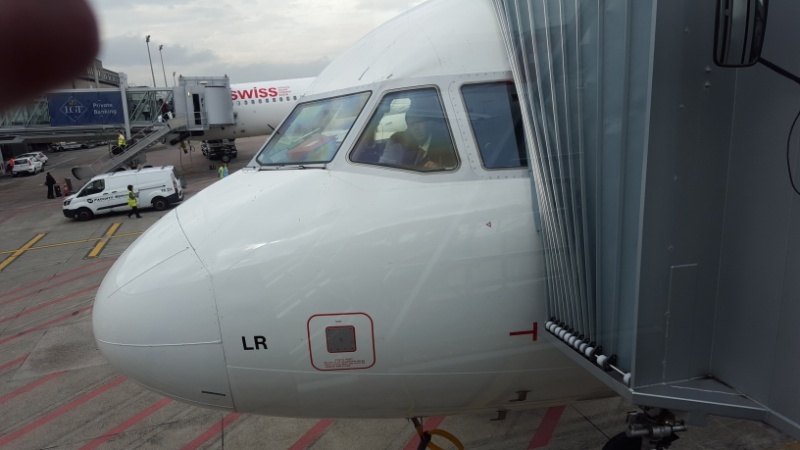 Swiss is now a hybrid low cost in terms of operation. From the ushes of the defunct Swissair, the former Swiss flag carrier which disappeared traumatically, came up as a renewed effective company. Large, efficient and global, with a huge fleet of A319 / 320/321, 330 and 340. And a regional network inherited from Crossair, with a mixed regional fleet, like the “passengers so much beloved” RJ85 / 100 Jumbolinos. But despite being enormously wide and confortable they will be replaced by the brand new Bombardier CSeries. When we use the excellent website of the company, we find a comprehensive tariff structure, with the Economy Light as the cheapest. This low fare does not include baggage, changes, refunds etc. 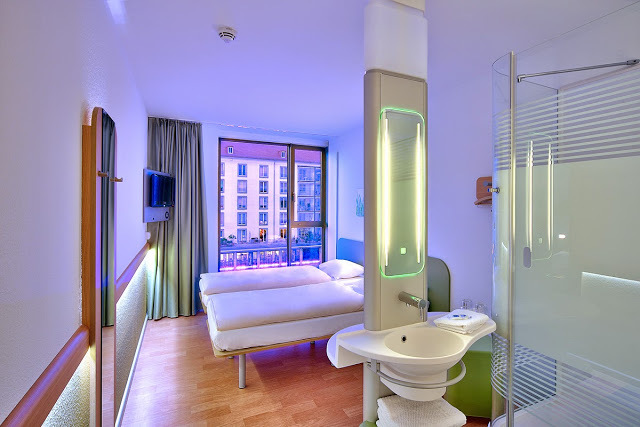 In addition the website offers hotel bookings, car rentals and even booking “treats” on board like chocolate or champagne. I loved the comfort pack (for special moments), which is in fact an upgrade, paying a modest supplement to Business Class. I’ll tell about it in another post. I didn’t like one thing. For no apparent reason, my seat 9A, paid for and confirmed was given to another passenger. There is no change of aircraft. Without explanation I was given the12A. Oh no…. I will not see the Alps. Clean and pleasant cabin, multi lingual flight attendant welcomed us with a big smile and exquisite manners. They assisted everyone and were really helpful with the passengers demands. The plane was fitted with Video screens (not individual or interactive), but a good thing because they are being removed by most airlines. We took off smoothy and got into the clouds without much fuss. We got through and the sun was shinning. The initial anger has just vanished. The seat next to me was empty and offered much more legroom. Swiss still serves complementary catering for all passengers. A rich smell of Gruyere, made me think what kind of breakfast we will be having. 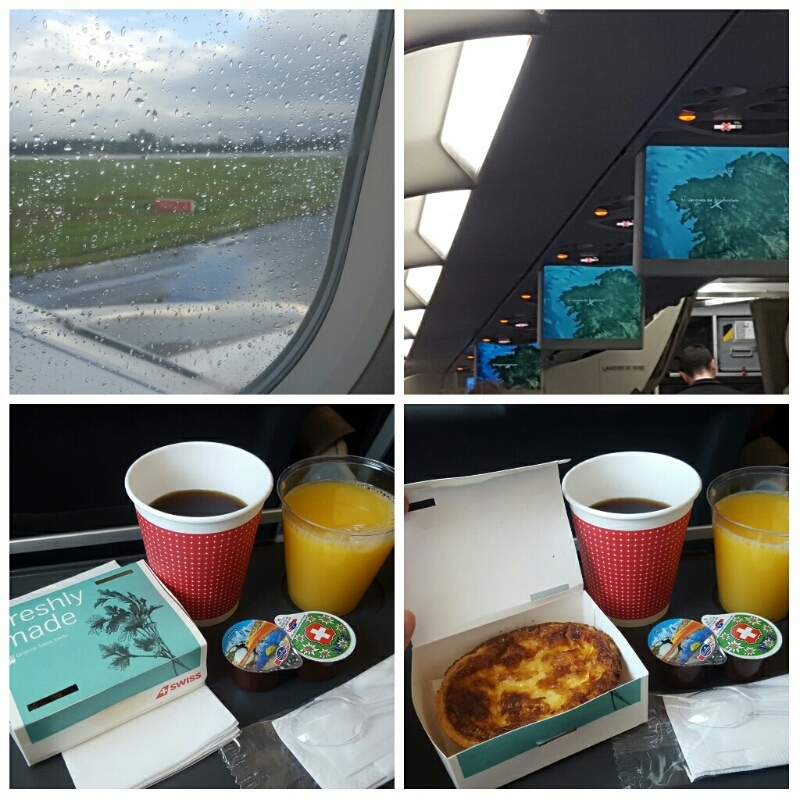 An exquisite and caloric Swiss cheese quiche, juice and coffee made me forget the initial frustration. 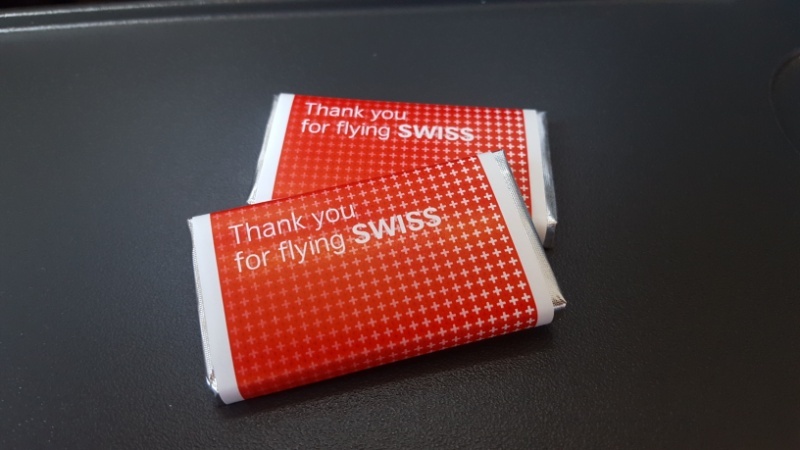 The aircraft was flying smoothly, and the mandatory Swiss chocolate, was the perfect touch. I did enjoy the flight. Swiss should move on and introduce a couple of improvements. Two things would be perfect. Right¡. 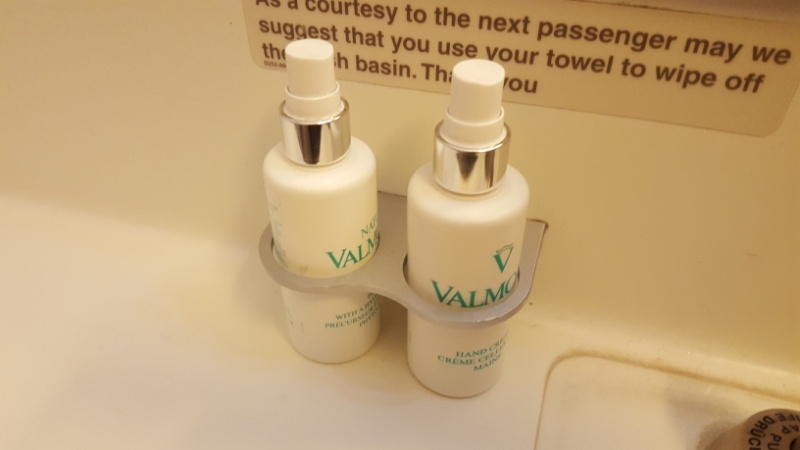 Few airlines are doing it, for shorthaul, but it would be appreciated having outlets at the seats like on the new generation of Vueling aircraft or wifi like in the case of Norwegian. Among others. 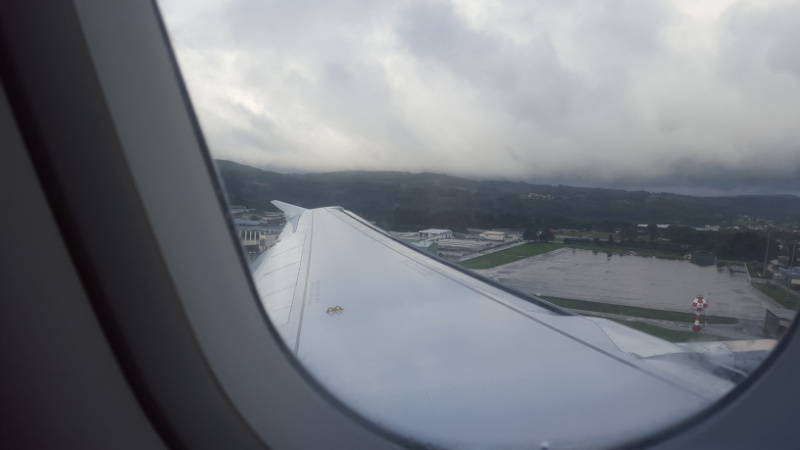 After crossing a few clouds whith caused a bit of turbulence between France and Switzerland, we arrived on time. Soft touch down at Zurich Kloten. An airport with an infinite network of destinations, second to none shopping and eating and a breathtaking ground transportation connections. Wunderwahr. I will use Swiss more frequently. WHY TO UPGRADE TO BUSINESS CLASS? 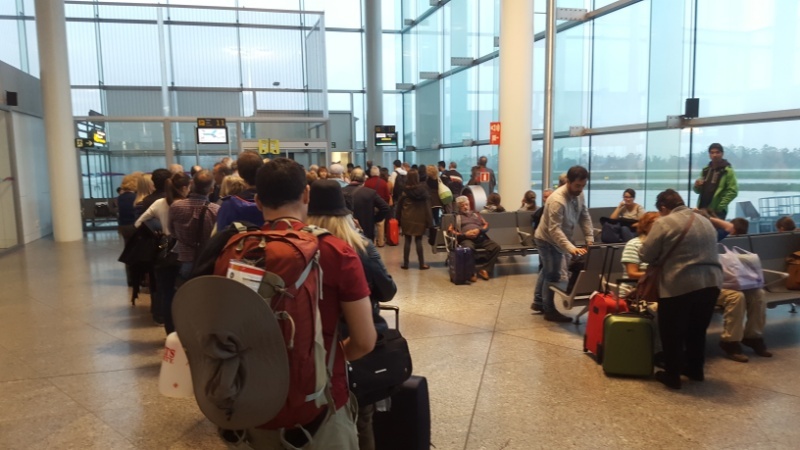 -Zurich Airport may be busy at the check in tourist class counters. -Access to VIP lounges. Not impressive but pleasant and smart. -Quiet cabin, and second to none catering. More carry on allowances. If you are not convinced you should see my video.